1.Thanks to the way the Intro to Bootcamp classes are structured, all participants can perform these exercises regardless of the fitness level. 2. 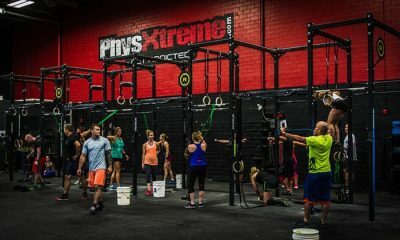 The PhysXtreme Bootcamp is a high-intensity strength and conditioning program that delivers the best results possible for the least time investment. If you can ONLY make it the gym 2-3 times per week, you will see the best improvements in strength and conditioning with Bootcamp. Promotional value expires 90 days after purchase. Amount paid never expires. Not valid for clients active within the past 12 months. Registration required. Limit 1 per person, may buy 1 additional as gift. Valid only for Saturday 8:30am Boot camp class. All goods or services must be used by the same person. Must sign waiver. Must activate by expiration date on voucher, classes expire 30 days after beginning first regular class. Merchant is solely responsible to purchasers for the care and quality of the advertised goods and services.